At eleven o’clock on the eleventh day of the eleventh month exactly 100 years ago-the guns fell silent to bring a close the First World War. The number of casualties of the conflict is disputed but some estimate up to 37 million soldiers and civilians were killed. 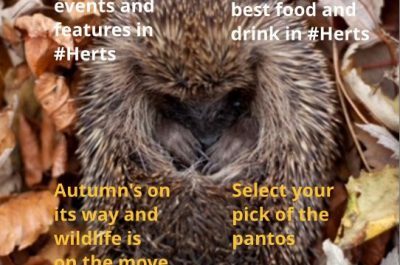 Whilst we commemorate the armistice every year on the 11th of November-this year is somewhat special being the centenary and in Hertfordshire there are a great number of events to mark the occasion. A week earlier on Sunday 4th November a parade will be taking place followed by a chapel service at Haileybury School at 11.00 am to which all are welcome. A large number of military units and Cadets will be represented and I am delighted and honoured that the salute will be taken by Field Marshall Sir John Chapple GCB CBE – Chief of General Staff and an old boy of Haileybury. 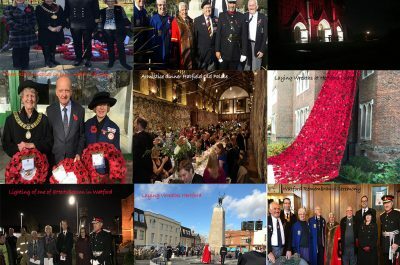 There will of course be Remembrance Day services held all over the county-in towns large and small-and I hope that together with my Deputy Lieutenants-we will be able to attend the vast majority. This year over 1000 beacons are also being lit across the country in the “WWI Beacons of Light” commemoration to symbolize an end to the darkness of war and a return to the light of peace. 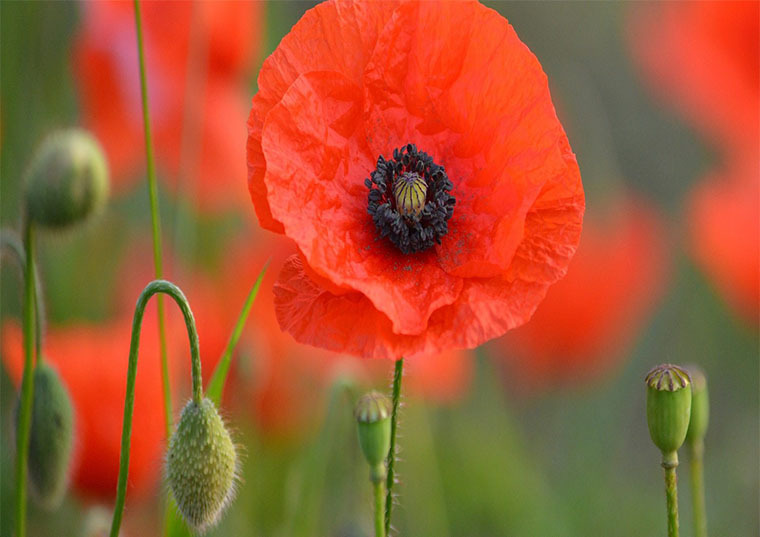 As the beacons are being lit at 7.00 pm-some towns are holding their Remembrance Day service in the late afternoon this year to precede the lighting of local beacons.